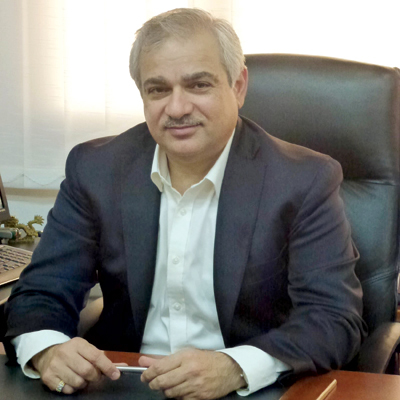 Al Ameeri Industries of Bahrain, expecting an export bonanza in coming years, is in the thick of preparations to augment production capacities at its Amgard and Ametech brands. 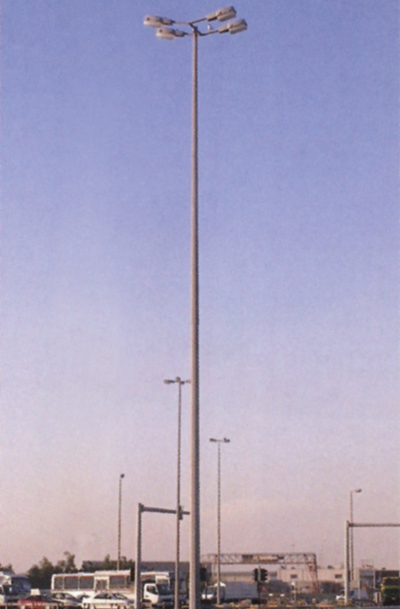 The company’s Amgard plant, located behind the Alba plant in Al Aksar, manufactures such infrastructure-related items as lighting poles, guard rails, open box beams and pedestrian fences. Its Ametech facilities are located in the Sitra area of Bahrain and products manufactured there include electrical panels and luminaires. The company is all set to move to new, significantly larger premises at Bahrain International Investment Park (BIIP). Currently, 60 per cent of the overall business is accounted for by Amgard with the electrical side accounting for the remainder. Al Ameeri executive director Adel M Ameeri says prospects for greater business in the Gulf’s construction and infrastructure sectors prompted the company to embark on expansions for both brands. At Amgard the company currently consumes around 4,000 tonnes annually of steel products which it procures mainly from Saudi Arabia’s Hadeed plant and also from sources from outside the region including South Korea. “Volumes increased by 20 per cent in 2013 over the previous year and with Bahrain being a small market, we are aiming at the wider GCC region,” says Adel. Al Ameeri Industries taps a contractor network to market its products. “When you’re into manufacturing you don’t necessarily have to open a branch abroad. You can have traders to represent you and negotiate on your behalf. We’ve just appointed two to represent us in Kuwait and Oman,” says Adel. Adel says even now there is no shortage of jobs coming Amgard’s way but the company cannot take them up because the new facilities will not be completed until at least the end of this year. Al Ameeri completed in 2013 a series of Qatari Ministry of Works orders for a total of 5,000 light poles over a period of two years. As an exporter, the company is according high priority not only to manufacturing workmanship but also to packaging so it remains competitive in international markets. “This requires quality upgrading from time to time which even now is going on. The steps we’re taking will give us the edge to negotiate outside Bahrain,” says Adel. Al Ameeri has succeeded in gaining approvals from authorities in Kuwait and Qatar for its light poles and is awaiting the nod from Oman. In Bahrain, the company supplies light poles regularly to the government Central Stores and the Electricity and Water Authority, the official says. The company is accomplishing ambitious plans for its Ametech brand and is poised to move to its new plant at the BIIP later this year. “Construction of the new factory started two years ago. It will be six times as big as our present plant which once we move out will be converted into a warehouse for our trading division,” said Adel. The new plant at BIIP has an area of 14,000 sq m and is being built on three levels. There will be a 20 per cent increase in the workforce. Ametech will be adding new products at the new site and have facilities it now does not have in Sitra. A multipurpose hall for seminars and presentations is being built, which will be the first of its kind in Bahrain. The building will serve students of Bahrain University. 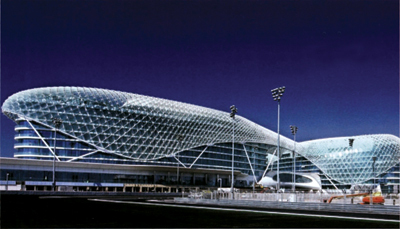 “We’re now fabricating panel buildings for ABB. At the new location we will have more modern machines and assembly lines and target the export market for commercial panels. We’re going through the necessary approvals for selling panels for electricity plants to start with,” says Adel. 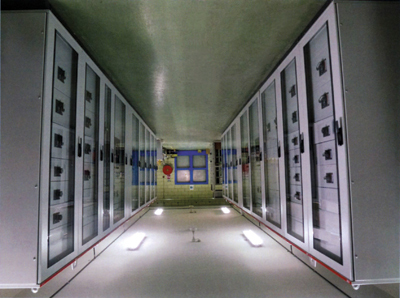 “Our main Ametech product currently is electrical panels, many of which have been supplied to Bahrain customers. Once we move to the new BIIP facility we will be aiming for the Saudi market.